There's nothing quite like the wonderful bond between animals and children. Kids love animals, so what better way for them to get involved and discover more about the natural world and the animal kingdom by treating them to an animal experience day?. Who knows, your son or daughter could be the next Sir David Attenborough! Here are some animal experience days for children as always please check the length of the vouchers before you buy and the important info or need to know sections. This is a great way for kids to learn and interact with reptiles! You'll be introduced to the experience when you arrive and given a safety briefing by an experienced, friendly member of staff. Then head to the experience area - here your child can get to grips with snakes, meet chameleons and even hold a giant millipede! Your child will feed them and find out what they eat, where they live, and much more, so this is a fun, educational experience. making it educational as well as exciting. This animal carer mini-experience is for one child and one spectating adult. Children must be aged 5-12 and accompanied by an adult over 18. Go to Buy a Gift for more info and to buy this gift. Was £398, now £199 - save yourself 50%! 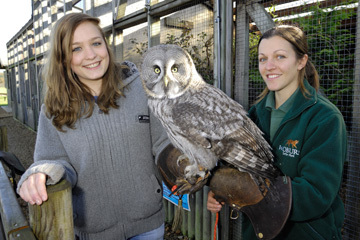 Experience life as a zookeeper for the day with experience! Work alongside the zoo’s keepers and get up close and personal with a variety of animals. Take part in feeding and cleaning the enclosures, and helping the team create a rich, fun environment for the residents. Lunch will be served in the Jaguar Restaurant and you'll each take a certificate home to remember your day as a zookeeper with! Minimum age 8, maximum age 15, and all participants must be accompanied by an adult at no extra cost (though adults will have to pay for lunch). Proof of age may be required. This is not for anyone with high blood pressure or who has a nervous disposition. Available from Virgin Experience Days - book at least 3 months in advance. After a safety brief and introduction, your child will be greeted by a staff member. They'll instruct your child on how to properly care for and pet the animals - so this is a great opportunity to show your child how to care for their friend. Whether it's rabbits, rats or chinchillas your child loves, they get to meet them all. The staff will combine constructive learning and play time to make this a day to remember. Don't forget your camera! An animal carer mini-experience for one child and a spectating adult. Children must be aged 5-12 and accompanied by an adult over 18. Go to Buy a Gift for more info and to buy this gift.